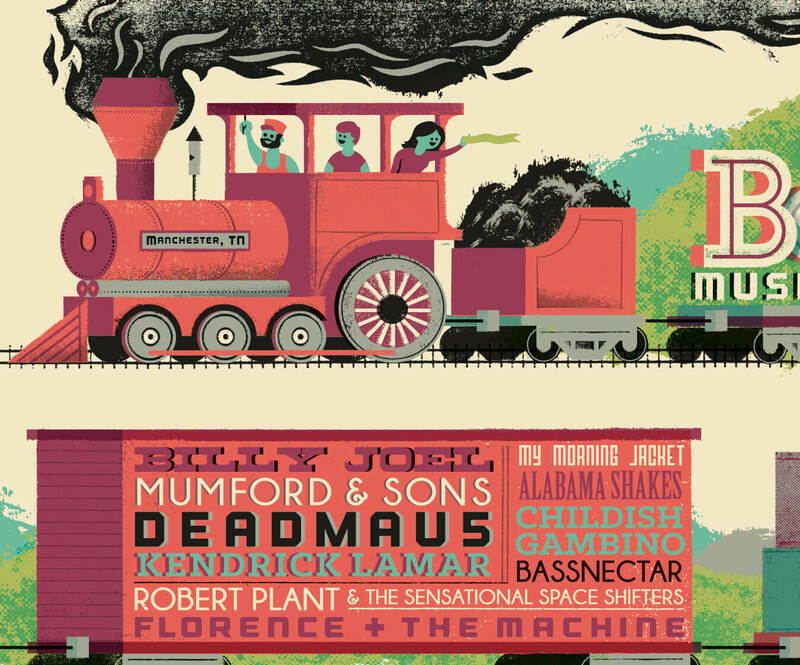 When I was invited to design poster for the 2015 Bonnaroo Festival, my jaw dropped at the line up. 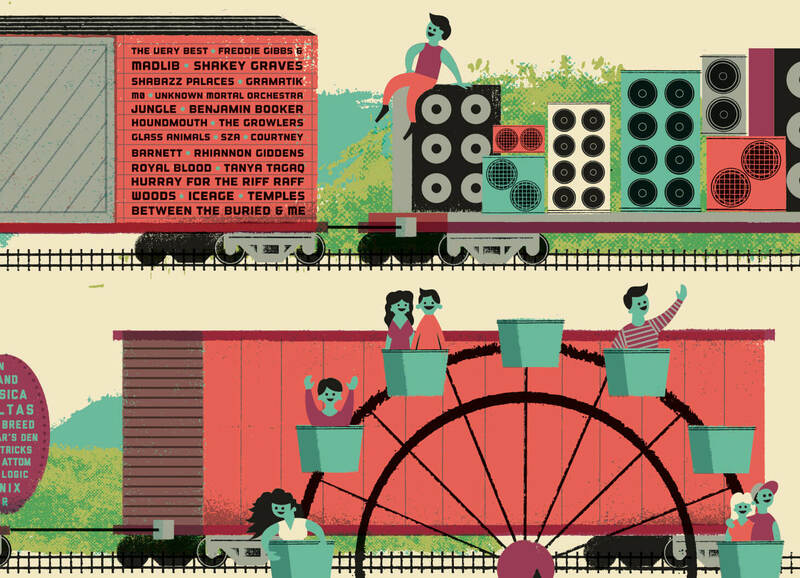 Robert Plant, Kendrick Lamar, Billy Joel, My Morning Jacket, Slayer, Bell & Sebastian, Ben Folds, AND Tears for Fears!? And that’s not even counting the hundred and fifty or so other fantastic acts. 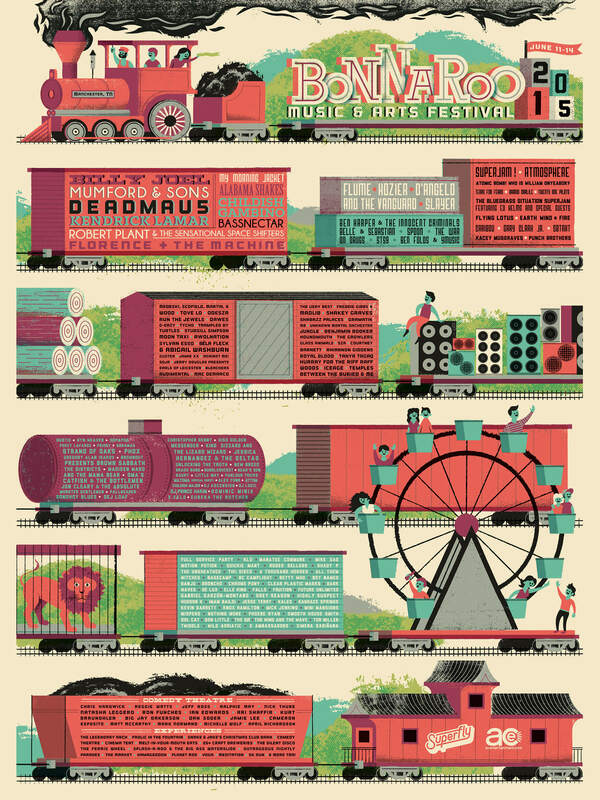 I decided to put together a poster with a Bonnaroo party train, complete with attendees, speakers, Ferris wheel and even some actual party animals, traveling out to the rural Tennessee fairgrounds!